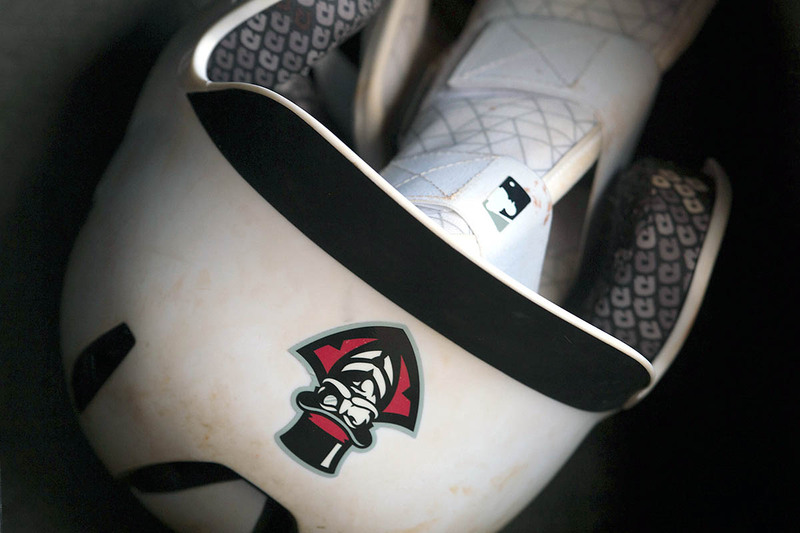 Birmingham, AL – The Austin Peay State University (APSU) softball team saw its late-inning rally fall short, Sunday at Mary Bowers Field in the final day of the UAB Tournament, as the Govs came up short to the Blazers, 11-6. Clarksville, TN – Kelsey Gross threw a one-hit shutout Thursday afternoon at Joe & Cathi Maynard Stadium-Cheryl Holt Field to lift the Red Team to a 3-0 victory over the Black Team in the rubber game of the Austin Peay State University (APSU) Annual World Series. 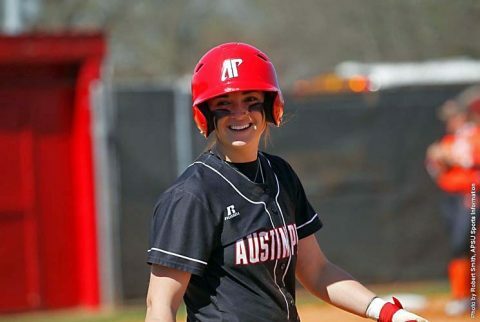 Clarksville, TN – Austin Peay State University’s (APSU) softball team will play its annual inter-squad Fall World Series this Tuesday through Thursday at Joe & Cathi Maynard Stadium-Cheryl Holt Field in its final big event of its fall schedule. 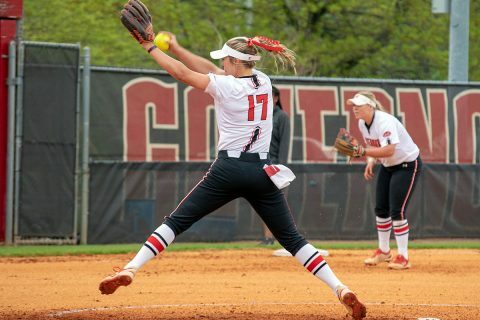 Clarksville, TN – Fresh off a season in which they won a program-record 39 games and finished second in the Ohio Valley Conference in 2018, Austin Peay State University’s (APSU) softball team heads into the 2019 season with high expectations and a work ethic to match. 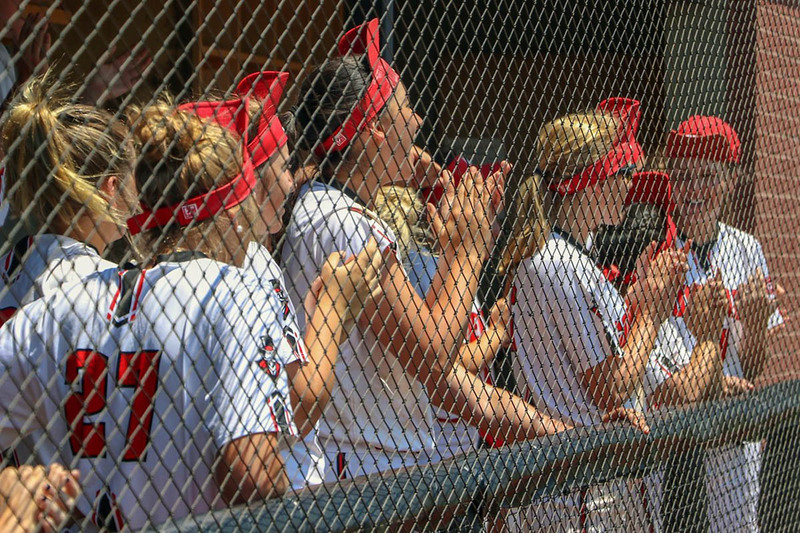 This is ‘Dugout Dish’ blog where each student-athlete on the team will take an opportunity to write a post highlighting the goings on of the squad, beginning with fall training and continuing all the way through the 2019 season. 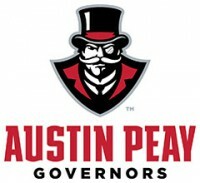 Brentwood, TN – A program-record 123 Austin Peay State University student-athletes have been named to the 2017-18 Ohio Valley Conference Commissioner’s Honor Roll, released Wednesday by the conference office. 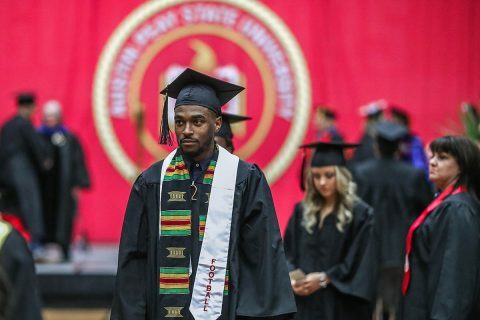 Student-athletes must have achieved a 3.25 grade-point average, were eligible and on the team throughout the competitive season in their chosen NCAA-sponsored sport(s) and used a season of competition in that sport. Clarksville, TN – An impressive fall semester for Austin Peay State University’s student athletes translated into the classroom with the department’s varsity teams posting a record 3.110 grade-point average for the Fall 2017 semester. The department saw a record 204 student-athletes receive academic recognition during the recently concluded fall semester. 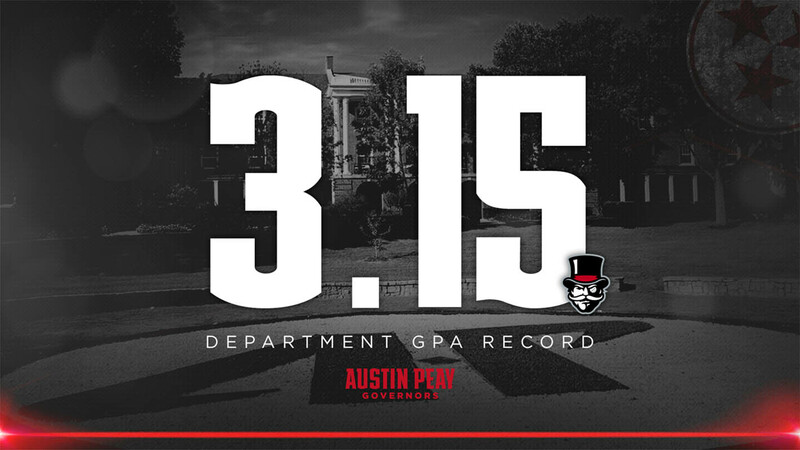 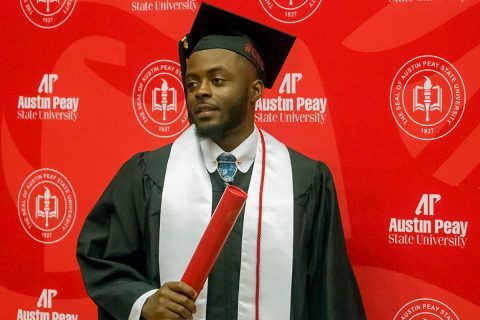 Records also fell with the total number of athletes named to the Athletics Director’s Honor Roll (97), earning Austin Peay dean’s list recognition (107) and posting a perfect 4.0 GPA during the semester (51). 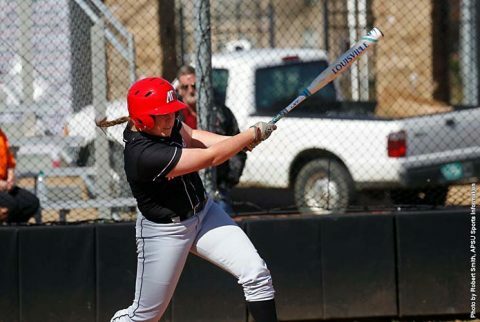 Memphis, TN – A four-run, third inning pushes Austin Peay State University’s softball team past the University of Memphis, Wednesday afternoon at the Tigers Softball Complex, in Game 2 of their doubleheader, 4-2, after dropping the opener, 8-1. 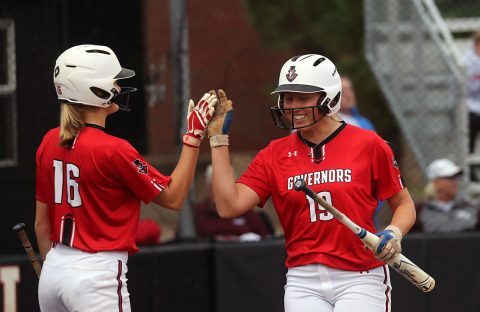 The Govs (12-18) with Christiana Gable reaching on an infield hit and move to second following a walk to Victoria Eccleston. 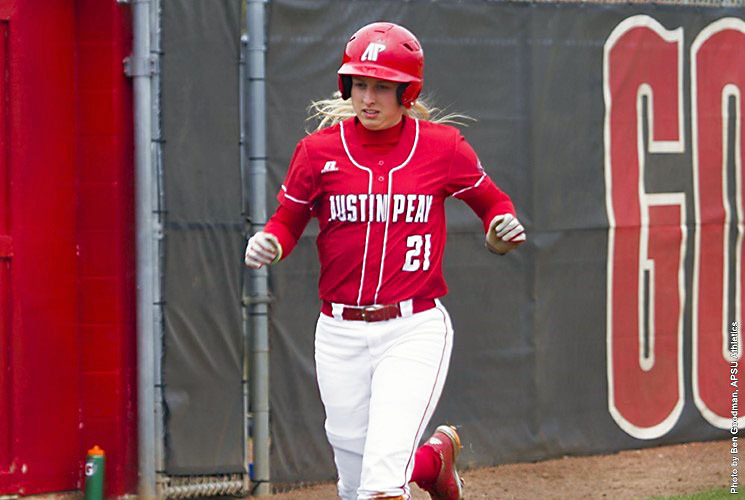 Bowling Green, KY – Austin Peay State University’s softball team couldn’t slow down the Indiana State offense, Saturday afternoon at the WKU Softball Complex, as the Govs gave up a season-high in runs allowed in a 17-5 loss at the Hilltopper Spring Fling Tournament.